Rumors began swirling this afternoon about a potential announcement coming from the Team Indiana Elite duo of Hanner Parea and Peter Jurkin. Coach Mark Adams said only Jurkin would be making his decision on Monday. 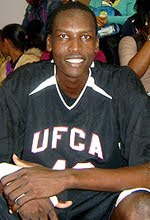 He said the 7-foot Jurkin, from United Faith Christian Academy (N.C.), would be choosing between Indiana, Texas, Tennessee, South Carolina and Clemson.